There are currently 94,318 users on this website. 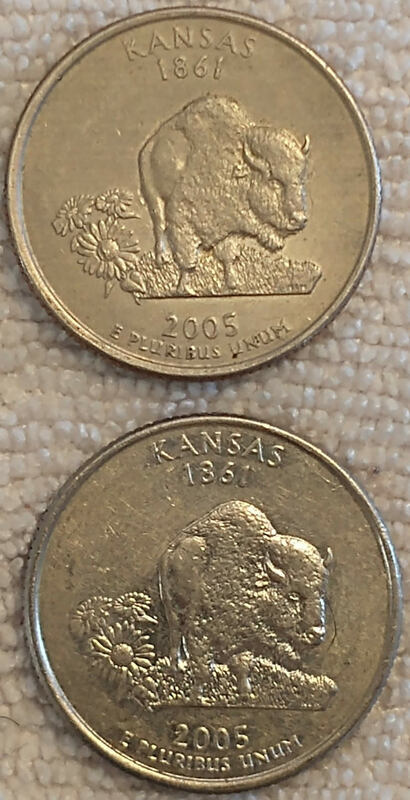 2005 D Kansas State Quarter Dull Finish On Reverse? 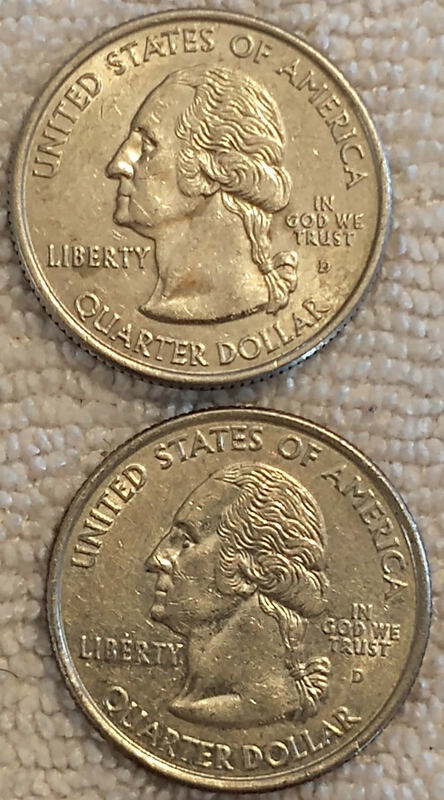 Can anyone tell me what is going on with this quarter? It looks like the reverse is missing finish? The reverse is very dull. Is this just wear and tear? The obverse looks normal. Welcome to the Forum. You've come to a phenomenal place to share and learn. I'm not sure what would cause that. Someone that knows more than I will be along shortly. @Q36, first welcome to CCF. Second, surface staining can come from exposure to a variety of chemicals or even the environment. For whatever reason, one side was protected from exposure while the other side was not. It took 0.73 seconds to rattle this change.